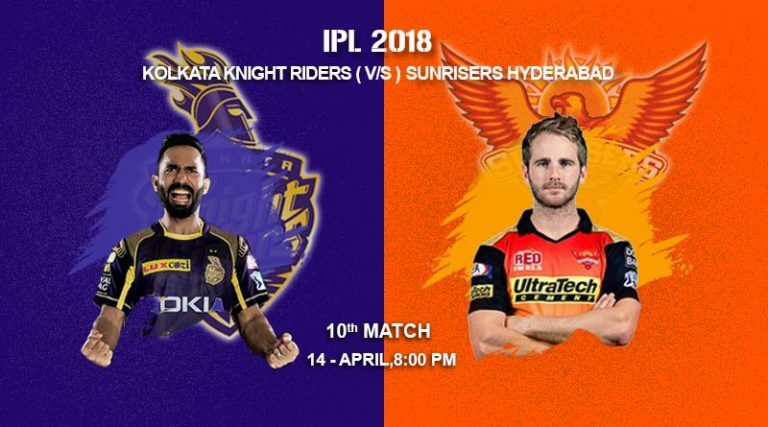 Kane Williamson was the star of the show with a brilliant half-century guiding Sunrisers Hyderabad to a 5 wicket win over Kolkata Knight Riders in the Indian Premier League (IPL) match on Saturday at the Eden Gardens in Kolkata. Chasing a modest total of 139 set by KKR, Wriddhiman Saha (24) laid a solid foundation for Sunrisers. Saha was dismissed in the 4th over by KKR premier spinner Sunil Narine. Kolkata Knight Riders Vs Sunrisers Hyderabad Match Review – Shikhar Dhawan could not continue his good form in this match as he was the next to depart after Narine bowled him out for 7 runs. Shakib Al Hasan provided good support to skipper Williamson in the run chase.KKR bowlers tried their best to restrict the SRH batsmen with Narine picking up 2 wickets. Piyush Chawla, Mitchell Johnson and Kuldeep Yadav got a wicket each but it was not enough in the end. Deepak Hooda (5) and Yusuf Pathan (17) ensured the visitors crossed the finishing line to ensure their third win in this season of the IPL. Earlier, India pace spearhead Bhuvneshwar Kumar took three wickets as SRH made the most of hour-long rain break and some excellent fielding to restrict Kolkata Knight Riders (KKR) to 138/8 in 20 overs. Kumar was returning to the team after recovering from a sore back but proved why he is a world class performer in the shorter format of the game. He was ably supported by pacer Billy Stanlake (2/21) and Bangladesh all-rounder Shakib Al Hasan (2/21) taking two wickets each. Highly rated spinner Rashid Khan went wicketless; leaking too many runs (31 in total).It is the consistency of SRH bowlers that have made them the successful side to watch out for in this edition of IPL. Former KKR batsman Manish Pandey took two outstanding catches to send Nitish Rana and Andre Russell back in the hut. To Sum up Things of Kolkata Knight Riders Vs Sunrisers Hyderabad Match Review: SRH gained top position in the league table as they once again proved to a better side on a given day.